Looking for standby or prime generator power? Look no further. If there is not a generator for sale that meets your needs, Powerlite will build one to meet your requirements. 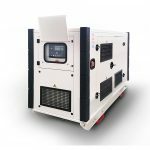 Powerlite specialise in custom made generators and are also an Australian Distributor for FG Wilson, Kubota and Powerlink Diesel Generators. 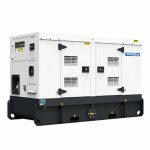 Diesel generators are ideal for stand by or prime power use, where the electricity is unavailable. These generators can be wired into your home or business’ electrical system, so when the mains power is cut, the generator automatically starts up.